Ever been on a ride and received a call from a friend who wants to meet up only they haven’t got a clue where you are or what the trails are called? “I’m at the crossroads where you can continue to Potato Alley or turn right down The Beast” you might say, expecting your friend to know exactly where you are… They haven’t got a clue.. now you’ll either spend precious riding time trying to explain exactly where you are or even worse, you’ll cycle back to the car park to meet them! The good news is that you’ll never have to do that again, and all you have to do is download this new app. What3words might sound like a Sudoku or crossword application but it is, in fact, a very cool navigation software which will allow you to easily navigate to anywhere in the world without needing to know the official name of where you want to go. 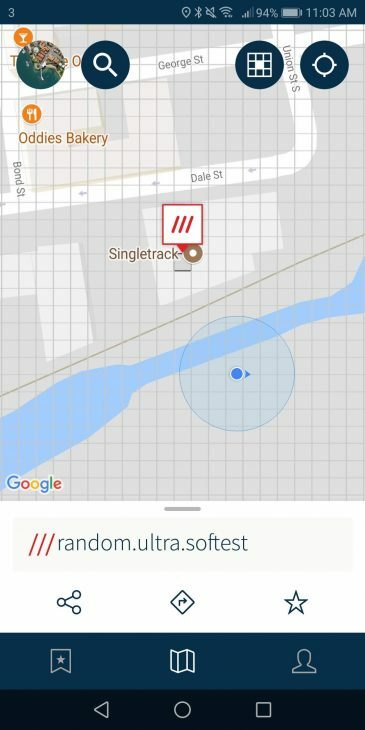 What this app does is simply break up Google maps into a grid of 3-meter x 3-meter squares and then assigns a unique 3-word name to it. So for example, if you wanted to meet your buddies at Win Hill and they didn’t have a clue where that was (who are these people you ride with?) 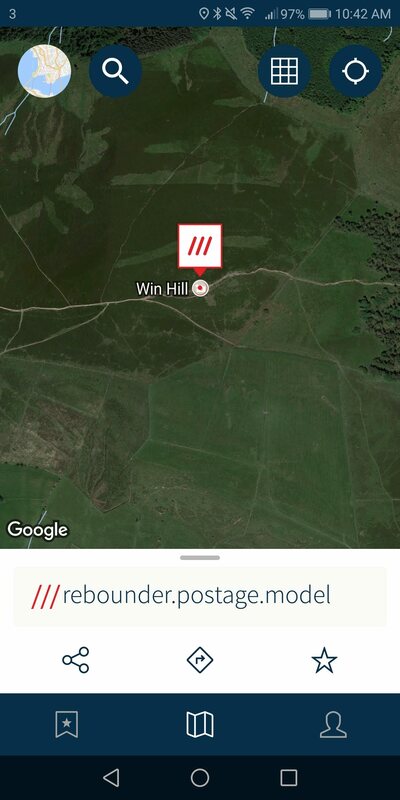 then you could navigate to Win Hill from within the What3words app and send them the 3-word name assigned to it, in this case, rebounder.postage.model. To make navigation even easier, and to let you share these locations with friends who don’t have the What3words app, each 3-word combination is also a URL that will open in a regular web browser too. Once you find a spot you want to navigate too you also have the option open that marker up in Google Maps (or another app of your choice) to give you directions to where you want to go, so in addition to helping your trail blind mates find the way, you could potentially use the app to discover new trails. But perhaps the most important use of What3words is how useful the app could be in an emergency situation. Having the ability to send your exact location to the emergency services, a friend or family member, without actually needing to know actual place names could be a lifesaver. Of course, the app isn’t just for mountain biking, you could use it for hiking, running, or even driving about off-grid locations. It’s a pretty simple and free app, plus it’s available for both Android and iOS devices. If you do decide to download What3words, please let us know how you get on with it in the comments below. 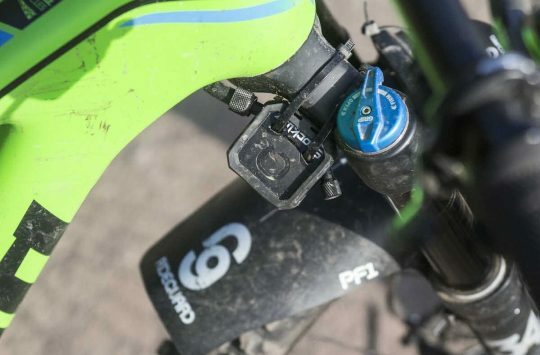 Also please feel free to let us know of any other useful mountain biking apps, and also check out our article The 7 Top Apps That Will Make Mountain Biking For Fun, Safer, and Social for more useful mountain biking application suggestions. 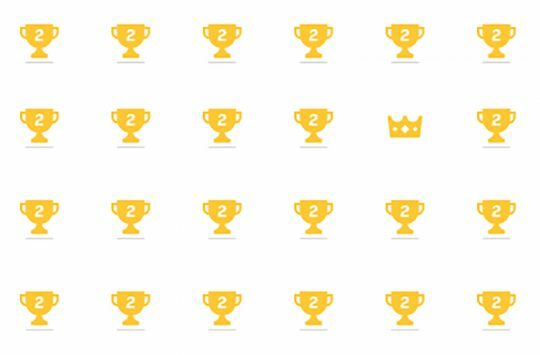 Now that’s a really smart app. 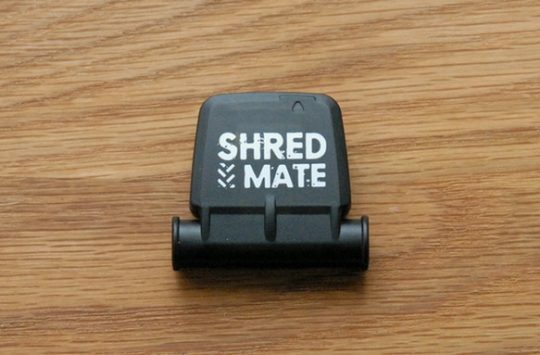 Simple and really useful for pinpoint accuracy of things like the entrance to a building site. Will be passing it on to some of my clients who have guys out on the road.